The AIM Academy is open twenty-four hours a day. That means that AIM knowledge is always available to those who seek it. The curriculum is at your fingertips whenever you are ready to study. And you set the pace that will eventually take you to graduation day. No matter your schedule or daily demands of life, you can start, stop and then restart again whenever time allows. Several AIM Academy graduates have successfully completed their studies in this manner, discovering how it acts like a refresher course, a positive approach for keeping your skills sharpened. 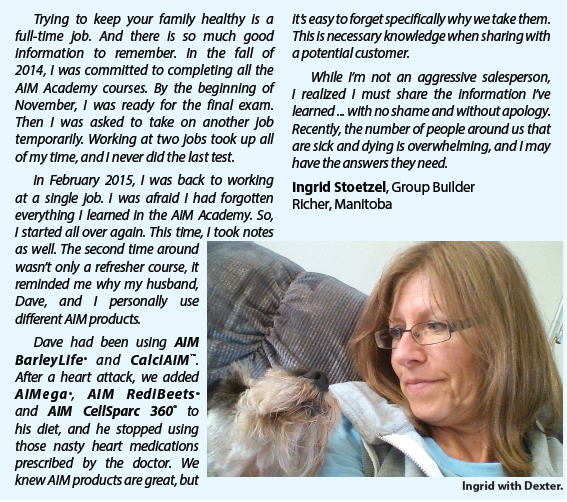 The following testimonial is Ingrid Stoetzel’s view on this around-the-clock option at the AIM Academy. We are so thankful for reaching the goal of Star Sapphire Director in February 2015. What a blessing it is, and we want to give thanks first to our Lord, Jesus Christ, for this blessing and the blessing of being associated with such a great company like AIM that provides quality products to enhance life and health! So many companies out there are focused just on making a profit and growing as large as they can but not AIM! In such a thoughtful way, the company was established to share the profits with the Members, and they provide the tools to help us be successful! Thank you, AIM!!! The AIM Academy is a most beneficial tool to further an AIM business. Whether you are just starting or are a part of the Million Dollar Club, I believe EVERYONE must complete the AIM Academy which educates you about the products, gives sales strategies, encouragement and has steps to improve your business. I found the Academy enjoyable and fun! 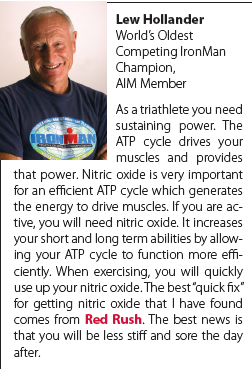 When growing an AIM business, everyone has to find what works for them and we found the Nutrition That Works! testimony book works well for us! We use it instead of a typical business card for most situations and have had many people calling and asking for more information because they read a testimony in the book that they could relate to! It’s important to stay in contact with your downline so they know you are available to assist them. We do this by sending a welcome letter with more information and sometimes we include the book Cleansing the Colon for a Happy and Healthy You by Teresa Schumacher or, if applicable, the Candida book by the same author. It is said, “A truly successful person duplicates themselves many times.” By helping your downline be successful, you become successful, too! AIM events are encouraging to attend and so full of great information! I know we never would have been able to succeed to this point without people like Joan van Rensburg who presented so beautifully on hormones at the Ohio BarleyLife Conference, and I learned so much about Renewed Balance. Ralph Peterson has been such an encouragement. From Dr. John Shewfelt, I have gleaned so much information over the years, and Phillip Jermann endured all my difficult questions each time we met! Charlotte Thompson, our direct upline, has taught me all of the above and encouraged us all along the way! Nathan became a Member in September 1997. After he and Joy married, she joined Nathan in the AIM Membership in March 2010. They became Directors in November 2010. They have 180 members in their downline. Dixie Shaw: Mom Knows Best! 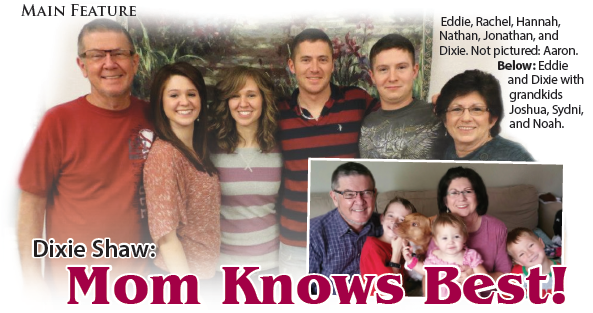 Dixie Shaw, Royal Emerald Director from Gilmer, Texas, knows nutrition. She and her husband Eddie own and operate an online health store where they sell the AIM products alongside other equipment essential to a healthy lifestyle. She discovered AIM shortly after giving birth to one of their children. “I wanted to lose weight and get in shape,” Dixie said. A friend told her to try AIM Herbal Fiberblend. After using it for a few months, she signed up as a Member. Dixie also knows motherhood. She’s had five children and home-schooled them all. Reading, writing and arithmetic weren’t the only things that she instilled in her kids. She also taught them the value of eating right and healthy living. Today, Dixie and Eddie’s children are all grown. The oldest is thirty-three and the youngest—a fan of dry BarleyLife while growing up—is twenty-one years old, each one of them married. They all remember AIM conferences fondly. The first conference they attended as a family was in Phoenix, and the whole clan even journeyed all the way to Hawaii. The Utah conference was the final AIM-related trip the Shaws made together. 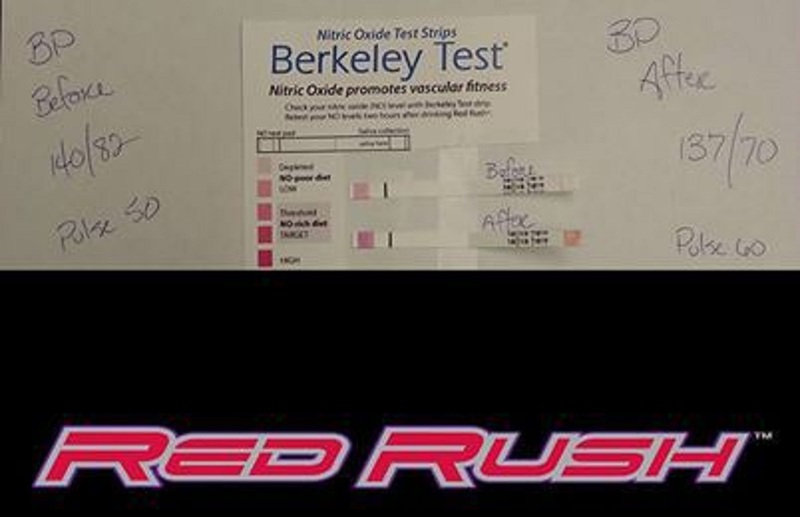 Author The AIM CompaniesPosted on August 21, 2015 Categories AIM Members, BarleyLife, Business, Red Rush, TestimoniesTags BarleyLife, Business, Red Rush, TestimoniesLeave a comment on Dixie Shaw: Mom Knows Best! 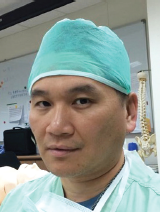 As a pain physician in Taiwan, I have seen lots of patients who have suffered from wide varieties of acute and chronic pain. After years of visiting many specialists and trying all kinds of painkillers or other methods, some patients are still deeply devastated by their discomfort, and ultimately become seriously depressed because their pain has affected their physical strength, movement, mood, sleep and even their social life. But the painkillers they are given do not ease their pain to any satisfactory level, and what’s worse, many pain medications, including a few major brand-name prescription drugs, have serious side effects, some of which may even be life threatening. I was lucky enough to attend a speech on “Nutritional Healing and Health” by Dr. Yu-Shiaw Chen in Tainan, Taiwan in early 2015. 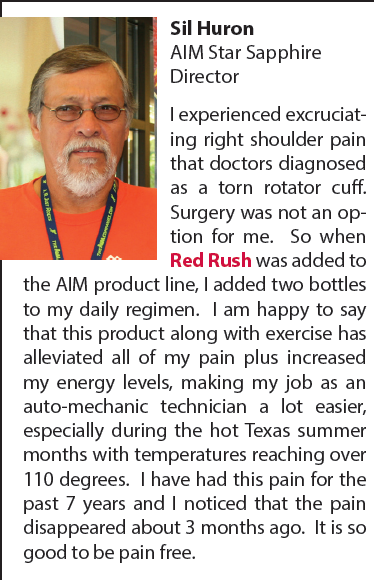 When I asked her opinions about the treatment of pain, she introduced the AIM Mag-nificence lotion to me. I knew almost instantly that it would be effective since I have read about the pain-relieving effects of magnesium. But at that time, I wondered what a lotion could do for my patients who have intractable chronic pain. A week later, I gave it to one of my patients, an 88-year-old lady who had been bedridden with severe lower back pain because of lumbar spine degeneration and senile osteoporosis. 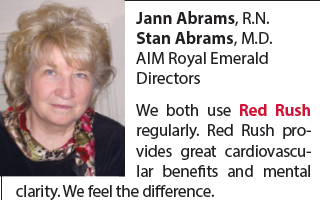 Because of her advanced age and a heart problem, surgery was not an option for her. For several years, I had been trying hard to alleviate her suffering with many medications and some invasive procedures, but all the drugs combined and the procedures failed to work well on her and caused annoying side effects such as stomach discomfort, nausea, vomiting and constipation. I told her to give the AIM Mag-nificence™ lotion a try as a last resort. To my great amazement, when she visited me four weeks later, she walked slowly into my office with a quad cane instead of sitting on a wheelchair like before. She could barely control her excitement when she told me about what had happened to her. She said that she had rubbed the lotion on her back every day, and at first it did not feel good because it was too sticky on the skin. But after a week, she began to feel the decrease in the intensity of her pain. So she kept on using the lotion on her back and her feet as well. Her pain virtually decreased day by day, and she began to sit for long hours and walk short distances in the house which had been impossible for years. Eventually, like a miracle, the pain that had tortured her for so many years almost disappeared after four weeks. She and her family were so happy because she was able to move around on her own and could partially take care of herself with some daily activities. They were also happy she could gradually get rid of the drugs. I would like to thank Dr. Yu-Shiaw Chen, AIM Chairman’s Club Director, for introducing this wonderful product to me and my patients. It really changed my patient’s life. So I would like to recommend it to all of you who have pain problems. 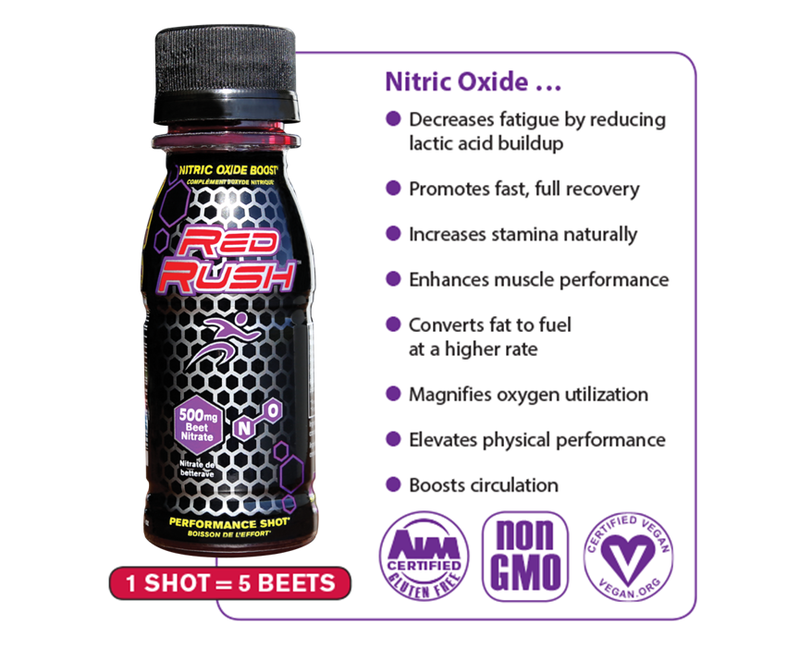 It is no small surprise that the first obstacle course race that AIM Member and Red Rush Athlete James Olmos ever participated in was with his family. Together they braved a mud run called the Rugged Maniac. Unprepared for what lay ahead, James, his wife and their three sons scaled eight-foot walls and slid down muck-covered slopes while wearing improper shoes and cotton clothing, just having fun and taking snapshots the whole time. Although James still runs races with his wife and children when possible, he has become a lot more competitive. At forty-seven, he finished his first half-marathon in less than two hours and is considering the possibilities of running full marathons and even a 50k. 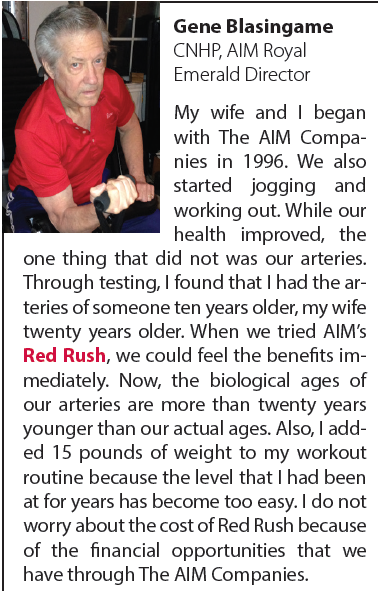 Although relatively new to AIM, James has long been an advocate of good health and fitness. He instilled those values in his children. “Parents need the balance of exercise, not only to be an encouragement and an example to their children, but exercise relieves stress and gives you the energy needed to raise children. It’s fine to bake cookies with your kids, but going for a walk afterwards teaches them the balance between enjoying treats while maintaining good health,” James said. All his sons grew up physically active. His oldest son was on the high school track team and was honored as a scholar athlete. His two youngest boys both followed in their mother’s footsteps—a professional ballerina and modern dancer—and joined their high school dance production teams as well as participating in other sports like lacrosse and soccer. Although his boys have grown, they are still conscious of what they eat and are active. James is very proud of them all. James has always been interested in nutrition. He hasn’t eaten pork or beef in twenty years although he regularly enjoys fish and fowl. Each morning, he wakes up and drinks a full glass of filtered water with two teaspoons of apple cider vinegar and AIM RediBeets®. Then he makes a shake that includes ProPeas®, CoCoa LeafGreens®, coconut oil, flaxseed oil, cinnamon, peanut butter, a choice of fruit and almond milk.